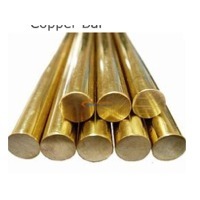 Browse copper-bars suppliers by country and region. Short on time? Let copper-bars sellers contact you. Qingdao Jiya Cable Co., Ltd.
Standard: GB/T 2059-2000 GB/T2067-1980 GB/T2069-1980 GB/T11089-1989 Length :5.8m 6m or as your required Chemical Composition: Cu:60.5~63.5 Ni:0.5 Fe:0.15 Pb:0.08 Impurity:0.5 Zn: left Applications: chemical processing, petrochemicals industry, oil refineries. 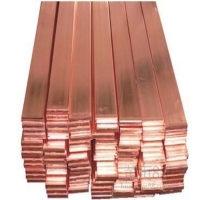 Copper bar is widely used in boat building, war industry, car industry and communication industry where the components need good wear proof and great corrosion resistance. Packaging: Plywood case or as customer`s requirement. 3-phase copper connecting bar Cross section: 10mm2 Connection pitch: 17, 8mm Terminals: 57 Lenght: 1000mm. Package unit: 10pcs Total weight: 5, 1kg Dimensions: 95x38x1035mm. Tripod : We offer a wide gamut of imported copper fittings that are used with copper headers for joints. These copper fittings are available in a variety of sizes and shapes for meeting the diverse requirements of air-conditioners. Compliant to set industrial standards, these fittings are also quality tested at our end in order to provide a flawless range to the clients. We provide a wide range of imported Copper Tripod, which are used in cooling coils of different air conditioners. We deal in superior quality tripods in different sizes and shapes. Yueqing Rhi Electic Co., Ltd.
1. Material: tinned copper foil 2. Single foil thickness: 0.05mm, 0.10mm, 0.20mm, ... 3. Cross section: 50-4000 SQMM 4. Purpose: flexible electrical or conductive connection 5. RoHS compliant 6. Customization available for special dimension, shapes and structure.